Watering nozzle is ideal for bonsai watering due to it's fine water flow, valve pressure control and shut off mechanism. Having a light rain simulation allows for soil and delicate plants to remain undisturbed or harmed. A garden hose without a metal thread needs to be used with the watering wand. We provide a hose clamp for no additional charge. 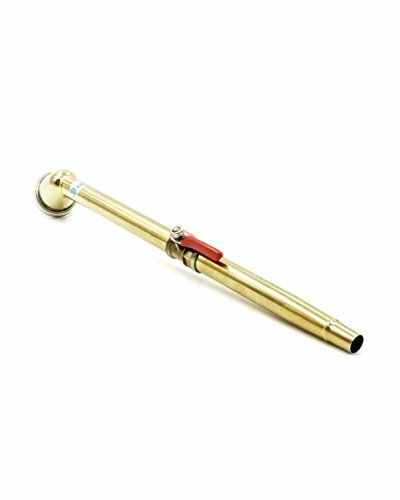 Watering wand is ideal for fine watering so that bonsai growing media is not distrubed or washed away. If you have any questions about this product by Kikuwa, contact us by completing and submitting the form below. If you are looking for a specif part number, please include it with your message.